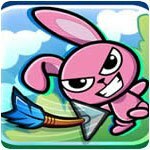 Arcade Shooter Games - Download & Play 37 Free Shooter Games! Shooters - Games where the main goal is to shoot lots and lots of stuff! 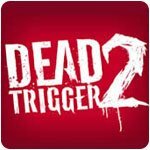 Travel through hell in this action shooter! Utilize futuristic weapons and blast your enemies in this FPS! Explore menancing structures to waste alien hordes! Quick reflexes required to annhilate the aliens. Get your lasers firing because the aliens are coming! 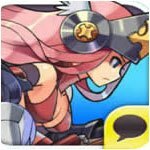 Save the universe from evil invading chickens! Waste alien monsters with awesome weaponry! Fight the zombie apocalypse with the biggest and baddest guns! A fantastic blend of stealth, shooter, and story. Clear the skies of behemoths with your flock of birds! Build up your space army and take over the galaxy! 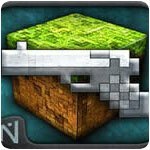 Create a gun and then unleash its firepower! Steer a boat and sink the enemy fleet. Fight your greatest foe - evil polygonal shapes! Free the world with your atomic tank! Run for your life in this horrific first-person runner! Explore, scavenge, fight and survive on a dangerous alien world! Destroy hordes of the undead to earn your ticket to heaven. Incredibly fun Claymation shooter with fun weapons. Bring peace to the chaotic high-seas in this boating shooter! 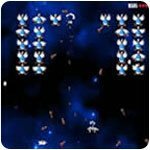 Classic Galaga style space shooter! New weapon technologies to fry the space baddies! Help destroy the aliens who blew up the Earth! Excellent remake of the sit down arcade classic! Collect crystals in the most dangerous parts of the galaxy! Defend your planet and fight Queen Verminia! Fight over 100 different kinds of enemy ships! 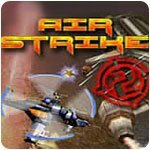 Destroy the enemy air force in this toy based shoot 'em up! Unreal Tournament Game of the Year Edition! 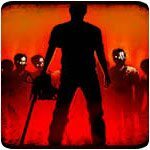 Hold a last stand against the zombie horde! Shake off those brain-eating hitchhikers! An arcade shooter, or “shoot ‘em up,” is an action video game in which the player controls an avatar of some kind, often a plane or spaceship, and shoots large numbers of enemies while at the same time avoiding being shot by them. Many such games exist, both in arcade-game format and on personal computers. 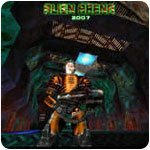 Many games which were initially popular as arcade shooters have also been ported to PCs. One of the earliest games ever invented on the computer, Spacewar!, might be said to have originated the shooter genre. Created by MIT students in 1962, the game involved two rocket ships firing at each other while also flying through space so as to avoid falling into the gravity well of a nearby star. Spacewar! inspired two of the earliest arcade games: Galaxy Game and Computer Space, both released in 1971. 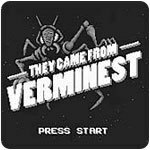 The former was created by Stanford University students and became a popular attraction at the student union there for years; the latter, the first commercially released arcade game, was designed by Nolan Bushnell and Ted Dabney, who would shortly thereafter go on to found Atari. However, the game which best exemplifies the genre is generally considered to have been Space Invaders, released in 1978 by the Japanese company Taito and licensed in the United States to Midway. In Space Invaders, the player controls a laser cannon, which is positioned at the bottom of the screen. His goal is to shoot down wave after wave of aliens, which move down from the top of the screen. Although simple, the game proved overwhelmingly popular: it caused a shortage of hundred-yen coins in Japan, and the home version for the Atari 2600 resulted in quadrupled sales of the console. Two games with similar gameplay to Space Invaders are Galaxian and Galaga, released by Namco in 1979 and 1981 respectively. These had more advanced graphics than Space Invaders. Galaga also featured more difficult and complex enemy behavior than its predecessors. Another milestone was Williams Electronics’ 1980 Defender. Like the games discussed above, Defender required the player to defeat never-ending waves of aliens. It stood out from its predecessors, however, in its side-scrolling environment: no longer was the player limited to a single screen. The ship in Defender could also move up and down the screen as well as left and right. In Xevious, a 1982 Namco offering, the player controls an aircraft which must destroy enemies both in the air and on the ground. Just as Defender was the first horizontally scrolling shooter, Xevious was the first major game to feature vertical scrolling. In 1983, Atari released an arcade game based on the final scenes of Star Wars. 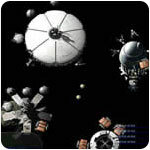 The player leads an attack on the Death Star. The game also featured digitized sound samples from the film. Unlike the games discussed above, Star Wars was a first-person, rather than third-person, shooter. Another vertically scrolling aircraft game, 1942 (published in 1984), was one of Capcom’s earliest hits. Unlike Xevious, it was inspired by actual history, namely the Pacific Theater of the Second World War. Sequels followed, such as 1943: The Battle of Midway. Beginning in the mid-1980s, shooters developed in which the player controlled a human being on foot, rather than a spaceship or airplane. An early example of this was Commando, released in 1985. All of the games described above were ported to home gaming systems such as the PC, usually fairly quickly after their initial arcade release. Many also inspired clones which were released for the PC. As time passed and the technical abilities of personal computers began to match those of arcade games, the appeal of arcades faded. Nonetheless, arcade shooters continued to evolve even after the end of the “golden age” of arcade games of the late 1970s and 1980s. They have grown more complex and demanding on the player’s reaction time, and often require the player to dodge a great number of dangers in addition to shooting at enemies. Graphics, of course, have also continued to improve. 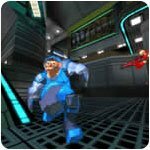 Who Would Be Interested in PC Arcade Shooters? Many arcade shooters are now available on the PC. Those who enjoy fast-paced games requiring quick reactions, and who are not bothered by the somewhat repetitive gameplay they usually offer, are most likely to enjoy shooters. Fans of classic gaming will be happy to see that Space Invaders and other such games are now readily available online and as downloads.